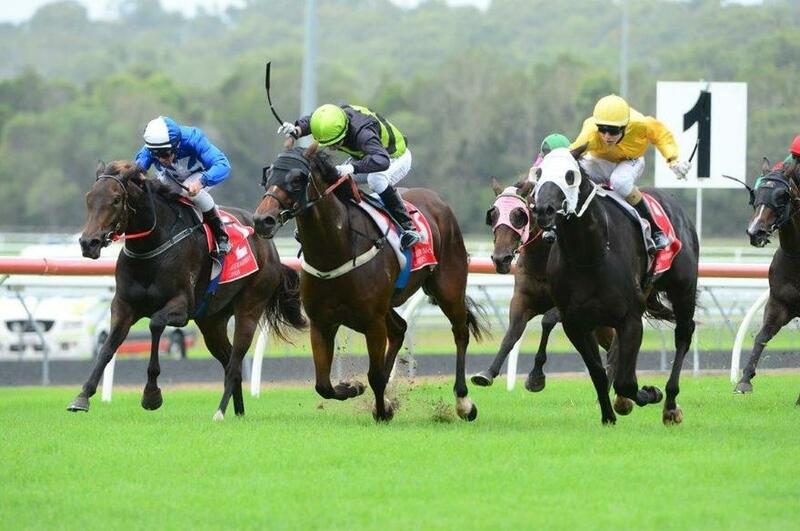 At the Sunshine Coast on Sunday Zoutano showed his grit and determination to hold on and take out the second race of the day, the TOTALLY WORKWEAR KAWANA Class 3 Handicap over the 1000metres in a time of 1:00:55. Third up after a decent break, trainer Chris Munce, had him in good order and this showed when he ran out the thousand metres at Caloundra on a Heavy 8 track. Jumping from barrier three, jockey Quayde Krogh kicked the gelding up and he was soon forming a line of four with Aqua Delago, Send Us A Sign and Lips ‘n’ Hips as they battled out for the lead with none of the four really dominating. As they travelled down the back towards the home stretch Zoutano and Send US A Sign were the first two to begin the turn for home with Aqua Delago and Lips ‘n’ Hips following hotly on their heels. Heading out of the turn and into the straight, Zoutano was the first to out his head in front and from there the 4-year old gelding did not give up the lead. He quickly put two lengths on Send Us A Sign with Aqua Delago not far behind. By the 150 mark he was a length and a half in front with Aqua Delage on his outside closing in fast, while on his inside Send Us A Sign continue to battle on. However, with his jockey urging him on Zoutano knuckled down and held off the other two runners to cross the line a half head in front of Aqua Delago and Send Us A Sign with the rest of the field nearly three lengths further back. By Dutch Harry and out of the Dane Supreme mare, Danish Rose, Zoutano has now raced 16 times for 3 wins and a second placing. 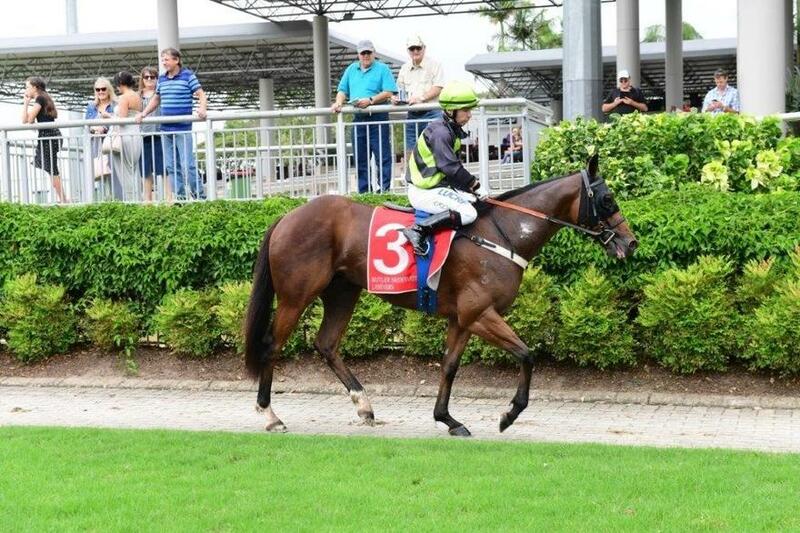 Munce Racing would also like to thank the ladies from Totally Workwear Kawana who sponsored Zoutano’s race. They were one of the sponsors on STEMM Race Day helping raise money to send young mothers back to school to complete their education.